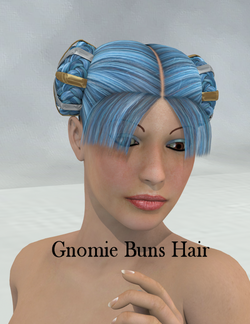 Gnomie Buns Hair for Victoria 4 is a bun hairdo, created by Fisty for Victoria 4. This was Fisty's "Published Artist" gift in 2008 at DAZ3D. This page was last edited on 10 June 2018, at 13:03.